WOW this was a heck of a year for Comic-Con. With many of the major movie studios declaring they wouldn’t be present at Comic-Con, it looked as if this year was set to be one of the more quiet ones. Luckily for us nerds, that was absolutely not the case. In short, television had a huge presence at this year’s convention, DC Films heaped on the superhero charm as they continued to change the narrative after the less than stellar response to Batman v Superman and many wondered if Marvel could come back and reclaim the fans at Hall H after skipping out of last year’s convention. It’s time to break down some of the biggest news from San Diego Comic-Con 2016. Marvel’s Netflix Lineup – The Marvel Cinematic Universe continues to extend beyond the movies and onto the small screen, with two fantastic seasons of Daredevil and the critically acclaimed premiere season of Jessica Jones under its belt. On the first official night of Comic-Con, we got sneak peeks at the newest MCU shows coming to Netflix with Luke Cage, Iron Fist and The Defenders, which will bring together the four titular heroes from the MCU Netflix shows (we’ll have to wait a little while to see the Punisher in his own series). All of these previews were short ones, with the most substantial content coming from the brand new Luke Cage teaser. In this teaser, we get to see Luke Cage doing what we know him to do best: completely wreck shop. Of all the teasers we saw, this one is probably my favorite. I loved the parts of Luke Cage we’ve already seen from his interactions with Jessica Jones in her series, but I’m really excited to see not only how his fighting style differs from Daredevil’s, but also to see how the showrunner handles the series after setting high expectations by calling it Marvel’s rendition of The Wire. I don’t know much of anything about Iron Fist, but as a massive Game of Thrones fan, I look forward to seeing what Finn Jones can do with this character. Finally, we get to see a very quick teaser of The Defenders, in which the only real piece of information we get is that Stick (from Daredevil) will be in it and someone likes Nirvana. Check out the trailers for Luke Cage, Iron Fist and The Defenders below! The Flash Season 3 – *spoilers for The Flash season 2* – Before Comic-Con, we got a sneak peek of Keiynan Lonsdale as Wally West in the Kid Flash costume, and it had already been confirmed that season 3 would loosely follow the “Flashpoint” storyline from the comics. However, this new trailer just makes everything much more real. After Barry went back in time to save his mom the season 2 finale, it was clear that everything in the show was about to change, and the trailer for season 3 really hammers that home. With The Flashpoint Paradox being my second favorite DC animated film, I cannot wait to see what this season has in store for Barry Allen. Also, ten points to season 3 for making sure the Reverse Flash returns. Check out the trailer below! Kong: Skull Island Trailer – Talk about a movie that’s had development setbacks! 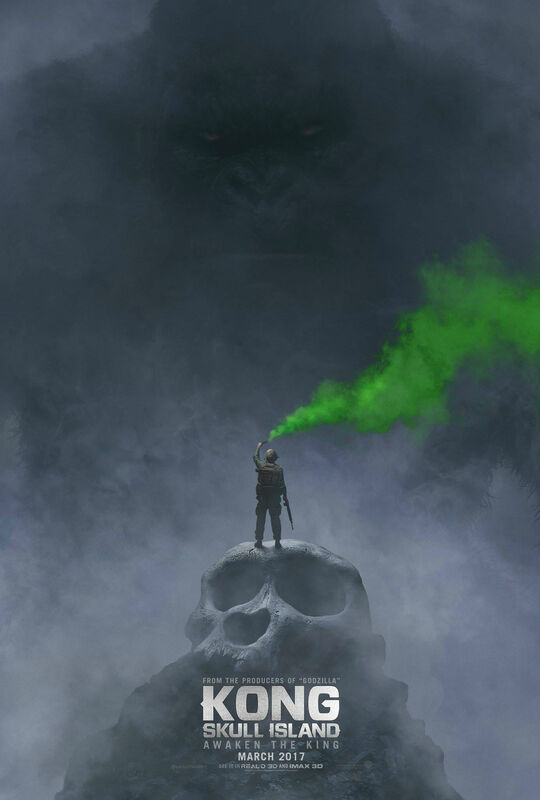 When this movie was first announced as a King Kong prequel simply called Skull Island in 2014, it had an entirely different cast that featured Michael Keaton and J.K. Simmons. After several screenwriters, an entire cast and plot change and a new direction to eventually pit King Kong against Godzilla in a future movie, Kong: Skull Island is almost ready to hit theaters. With names like Brie Larson, Tom Hiddleston, John Goodman and Samuel L. Jackson attached to the project, the film’s first trailer gives us a glimpse at an experience that looks part King Kong movie and part Apocalypse Now. This movie was only slightly on my radar before Comic-Con due to its stellar cast, but I was never really super excited for it…until I saw this trailer. The little bits of the film we get to see in the trailer give us a picture of what we’re in for, and it looks pretty grand in scale. We don’t get to see a lot of Kong himself, but the little that we do see reminds me a bit of 2014’s Godzilla reboot, both in size and in how we’re teased with the creature’s appearance. Check it out! Wonder Woman First Poster and Trailer – If you weren’t a fan of Batman v Superman: Dawn of Justice, then you’re in luck, because it looks as if future DC movies are trying to distance themselves as much as possible from the film. Nowhere is that philosophy clearer than in the first poster for Wonder Woman. All the colors on the iconic heroines costume have been amped up since her appearance in Batman v Superman, and the image of the character is set against the backdrop of a bright blue sky. Here’s the funny thing about DC’s turn from the dark tone: I know it’s just for the sake of PR, and usually that irks me. But here, I have no problem with it. Not every hero in DC’s lineup is supposed to be dark, and I love the significance that color plays in painting a picture of a powerful and uplifting character like Wonder Woman. This tone just fits this movie. Luckily, we get to see more of it in the first official trailer that premiered on Saturday. Overall, this is a very solid first trailer. I like the little bits of comedy that we get to see, but most importantly, I love how Wonder Woman isn’t just another punchy superhero. This reminds me a bit of the first Captain America movie due to its setting, but the tone of this film and the way Wonder Woman fights sets up an entirely new aesthetic. Wonder Woman is supposed to be like a goddess, and everything she is in this trailer reminds us of that. Also, ten points to this trailer for the scenes of Wonder Woman blocking bullets with her shield. Check out the trailer and poster below! 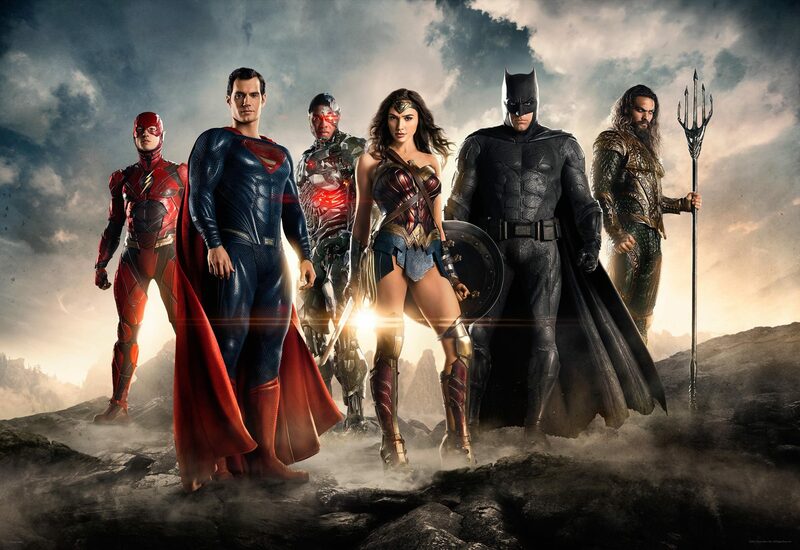 Justice League Teaser Image and Footage – For how far off we are from the release of this film (November of next year), I was not expecting Warner Bros. to present as much content for this movie as they did. However, I am extraordinarily thrilled with both the teaser image and the footage that we were given. Sure, Batman and Wonder Woman both look great (no one was really debating that), but I was surprised by how much of the new characters we saw and how good they looked. Let’s call a spade a spade, though: if you’re feeling underwhelmed by this footage, it’s probably because it’s really just an intro piece. We get to see closer looks at the characters who didn’t have feature roles in Batman v Superman, and for the most part, everything looks in order. As I mentioned before, the dark tone of Batman v Superman has been thrown out and replaced by wailing electric guitars, and given the kind of characters being introduced here, it works strangely well. The Batman we saw in BvS wouldn’t have necessarily done well mixed in with some of the lighter characters of the Justice League, so we get to see a setup that looks more akin to the team in the comics, with Batman playing a new role as the “Nick Fury” of the team, bringing together everyone he could to fight a new enemy. The character with the most screen time in this trailer (next to Batman) is Barry Allen’s Flash, and rightfully so. I, like many other people, have been completely hooked by Grant Gustin’s portrayal of the speedster in DC’s television show, so I knew Warner Bros. was going to have to work a bit harder to sell this specific group on Ezra Miller as the Flash, and this trailer gets off to a solid start doing that. We see a different kind of Barry Allen in this trailer, but one that also feels a bit familiar in that “awkward in an endearing way” kind of vibe. Here’s the footage and teaser image for your viewing! The Big Marvel Studios Panel – And closing out this Comic-Con roundup, we have a rundown of all the biggest news trailers coming from the super-sized Marvel Studios panel. Marvel Studios has been the king of Hall H since 2010, and for good reason. This year, they proved exactly why they hold that title. 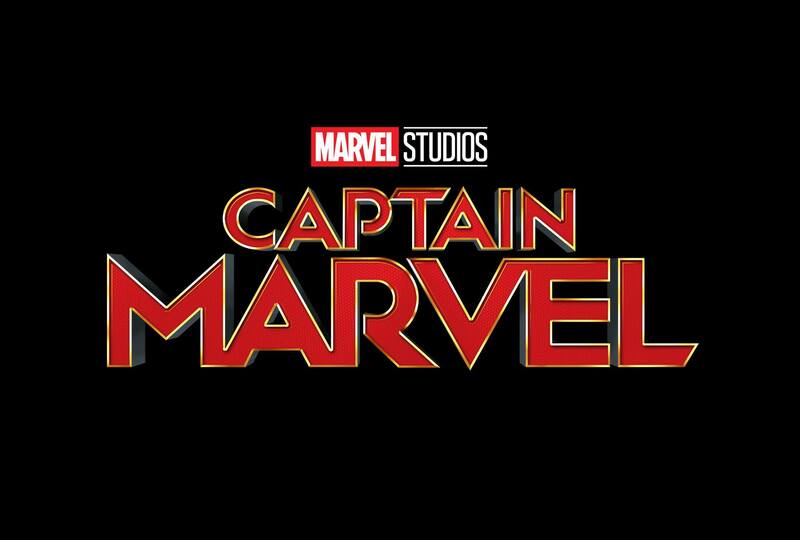 They started off the panel in a grand fashion, revealing the brand new logo and opening fanfare that will play in front of every Marvel Studios movie. Because this isn’t a very long video, I’ve added the link to watch it here. Personally, I love the new logo, but I’m not a huge *ahem* fan of the fanfare. 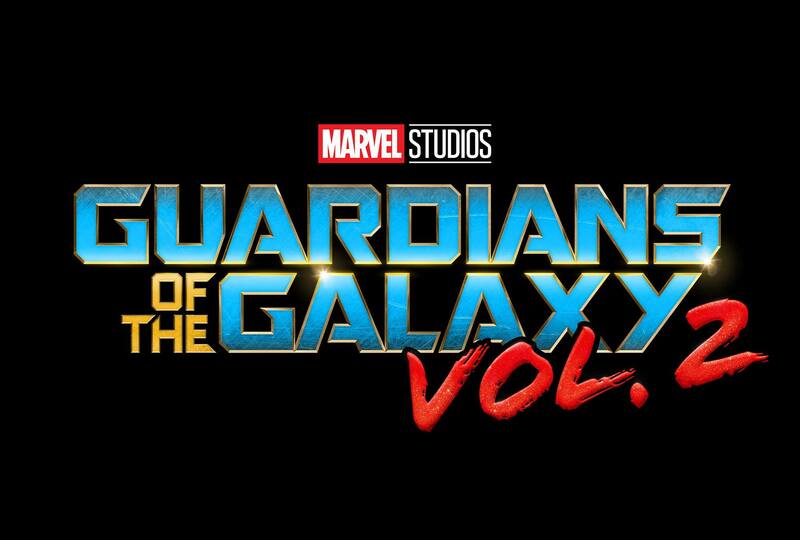 I really liked the fanfare Marvel Studios put in front of Thor: The Dark World, Captain America: The Winter Soldier and Guardians of the Galaxy, but that doesn’t mean this new one won’t grow on me. And if it doesn’t, well…let’s be real: it’s just a fanfare. I’ll be okay. 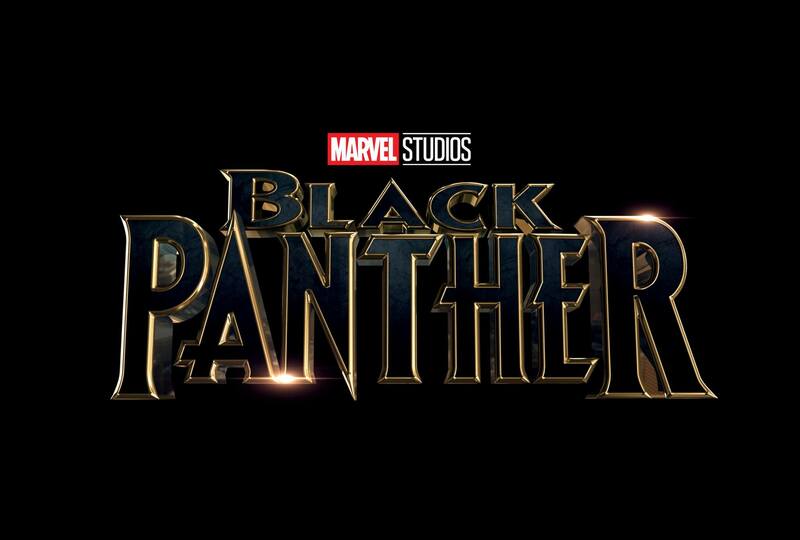 Right after the unveiling of the new studio logo, Director Ryan Coogler (Fruitvale Station, Creed) took the stage to talk a little bit about the movie he’ll be directing, Black Panther. Since the movie won’t start filming until January, he didn’t have a whole lot to say about things we’ll see in the movie, but we did get several cast confirmations. As previously reported, Lupito Nyong’o and Michael B. Jordan, whom Coogler had previously worked with on several of his other projects, have joined the cast lineup as villains. In the meantime, we did get to see a brand new logo for the movie, which I’ve added below. Next up, those in Hall H were treated to a glimpse of Cate Blanchett’s role as Hela in Thor: Ragnarok and a brand new sizzle reel for the film. Like much of the footage from the Marvel Studios panel, none of it has made its way online (and has somehow remained unpirated), but from what people in Hall H were tweeting out during the panel, it looks like the final shot of the sizzle reel including some footage of Thor fighting the Hulk, who was well equipped with armor that fans of the “Planet Hulk” comic book storyline may recognize. 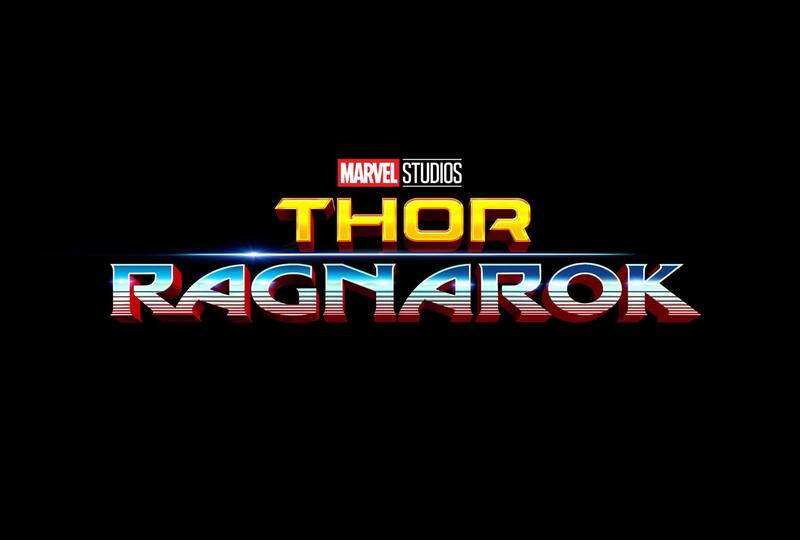 In the meantime, for those who were not in Hall H, we got another new logo for Thor: Ragnarok, which looks about as retro as one can get. After Thor: Ragnarok, the cast and crew of Doctor Strange took the stage. While audiences were once again treated to exclusive footage, the cast and crew also brought a brand new trailer and poster for the movie along with them. While I enjoyed the first trailer well enough, this second trailer has me totally sold on this movie. I’m always glad when movies tread new territory, which was something I was afraid Marvel Studios wouldn’t be so excited to do for a while. This trailer, however, shows us that we are in for one seriously trippy ride through different dimensions, and as a fan of film, I think that’s going to be something spectacular. I’m also looking forward to see how director Scott Derrickson (Sinister) brings some of his sensibilities from the horror genre to a superhero movie of this nature. These Inception-style visuals are definitely something I’ll want to see on an IMAX (possibly even 3D) screen. Check out the trailer below! Then the cast and crew of Spider-Man: Homecoming took the stage. All that was shown was a bit of concept art from the film that includes Spider-Man taking on the Vulture, who was confirmed to be played by Michael Keaton, and some exclusive footage for Comic-Con goers only. Did I mention how excited I am for Michael Keaton to be in this movie? Because I am. Do I essentially just want him to be a fully realized version of Birdman? Yes. Yes I do. The crowd went nuts, and I did too. Brie Larson is an excellent choice to play Captain Marvel, and I can’t wait to see her in the first female-led Marvel Studios movie. Wondering if Brie Larson was the best choice to play the character? Go watch Room right now. Even if you weren’t wondering that, go watch it anyway. Thanks for letting us in on all this cool stuff! !